It's been an interesting summer for me. In the Spring, frustrated with some personal health issues, I met with my doctor to discuss a laundry list of ailments but top of mind was my weight. The scale had been holding steady at 256 pounds since January. No matter what I did such as increasing cardio, adding weights, and cycling my caloric intake, my body was a big bag of "nope". I'm pretty sure I lost weight in my feet. A nine pound weight loss in one month is pretty amazing. It's also not sustainable. 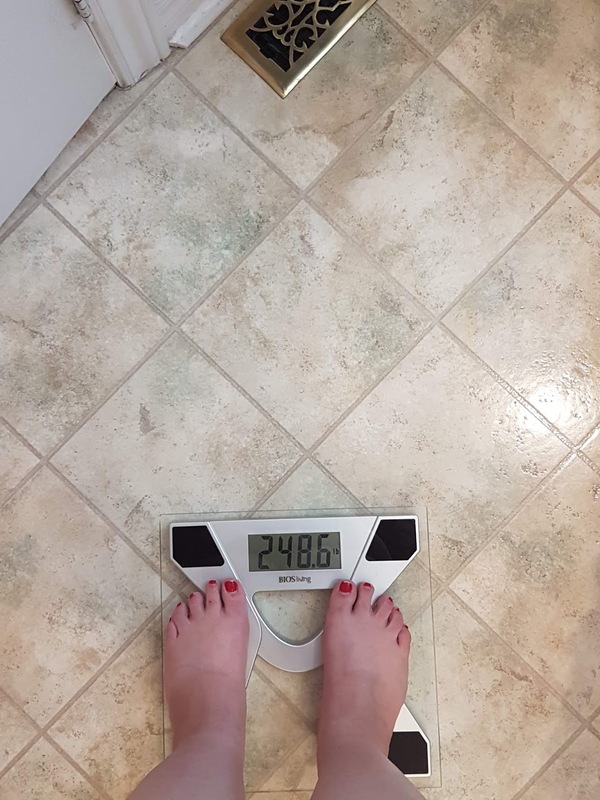 Most of it is probably water loss due to the heat, and exercising in this heat, so I think it's fair to say I've lost seven pounds since meeting with my doctor. Remarkably, my body is responding to intermittent fasting and now I'm eating in an eight hour window with breakfast at 10:30 am, lunch at 2 pm and dinner at 6 pm. From 6:30 pm all the way to 10:30 am the next morning I consume nothing with a calorie. I drink a ton of water, too. My weight loss app is set to calorie cycling so the intake varies from day to day, but it's anywhere from 1247 to 1658 calories a day depending on the amount of physical activity the day before. The only thing I've worked hard to omit is sugar and anything white, with the exception of basmati rice and yellow-flesh potatoes. NO ONE WILL TAKE THAT AWAY FROM ME. If you're still reading, I'm hoping this post helps others struggling with PCOS, obesity or insulin resistance. Please talk to your doctor if this style of eating, coupled with 375 or more minutes of exercise weekly is healthy for you. I've logged over 2200 km on my bike since April 23, 2017. I've pushed that bike so hard that I'm probably going to need to overhaul most of its components by the end of the year. Amazing work, CJ. But the scale only tells half the story: I'll bet you're stronger and have much greater cardiovascular fitness than a year ago as well. Oh yeah, I've got wicked strength in my legs and my knees are no longer an issue. The osteoarthritis still makes itself known if I push myself too much in one day but the beauty of all this hard work? When I get up the next day, I'm not crippled with pain. Definitely some "food" for thought. 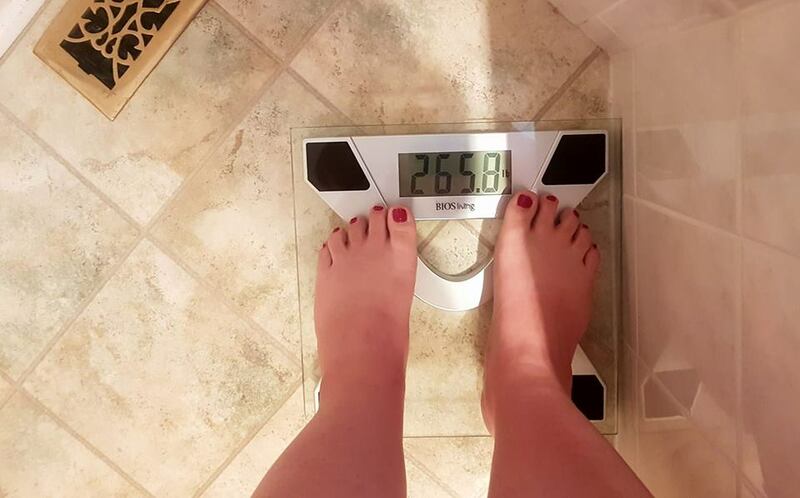 Congratulations on your progress, Cindy! You and I have discussed my Keto/Paleo regimen (my cheat sheet: https://bit.ly/2OnKtb3); it, too, includes IF. A tip of the hat to your MD for their recommendations. I don't know what your macros are (and they're none of my business), but the suggestion to increase protein intake raised an eyebrow. Not having heard of PCOS, I turned to my go-to source for nutrition information, Nora Gedgaudas, and found a dated article from her: https://bit.ly/2M8rIM8. As for omitting "anything white", may I introduce you to the versatile cauliflower — faux potato salad, rice, mashed potatoes, etc.? Bon appétit and happy cycling! I was eating less than 30 grams of protein a day. Now I'm at 45 grams. I'm not planning on the 90 gram to 160 gram regimes I've seen on Instagram. That's nuts! I forgot to mention that when I hit a weight plateau, I would resort to a day of carb loading and then resume keto. Since embarking on the low-carb/IF plan, I find I no longer have hunger pangs during the day (which were typically satiated with carbs). Can I just jump in and ask all the low carb/paleo/veban/keto/plant based people to just take a step back for a sec? OBESITY IS A DISEASE. It requires a complex support system of nutrition and science to treat based on each individual's metabolic make-up. What works for one won't work for another. This is why people with BMIs of 40 or more should be working with a doctor, or be enrolled in a bariatric program, where their diet is monitored and tailored to them based on their metabolism, size, activity level and in some cases, any underlying diseases such as PCOS or Diabetes they may have. I don't know Cj's history but it sounds like working with her doctor and other professionals is the only advice she should be heeding. Inspiring CJ. Simply so happy to see you make progress! I missed you. I'm just beside myself that this is working, so far. Thank you for your input. I do believe that people offer advice only to let others know there are options to try, and how to go about it from their own personal experience. And yes, obesity can be complex. I'll agree with you wholeheartedly there! Super inspiring! Keep up the good work! Thanks G, Squiggles and Peter! Way to go, CJ! It isn't easy, but it sounds like you are on the right path.